Leeds City Region and partners have formed a consortium to explore the strengths in Medical Technologies in the region. Their vision of making the UK the world-leader for developing medical devices and diagnostics will lead to reduced healthcare costs, improved patient outcomes, and significant economic growth. Major assets include Medical Technologies Innovation and Knowledge Centre at University of Leeds, Medipex Healthcare Innovation Hub, and Medilink connecting the NHS with industry and academia. 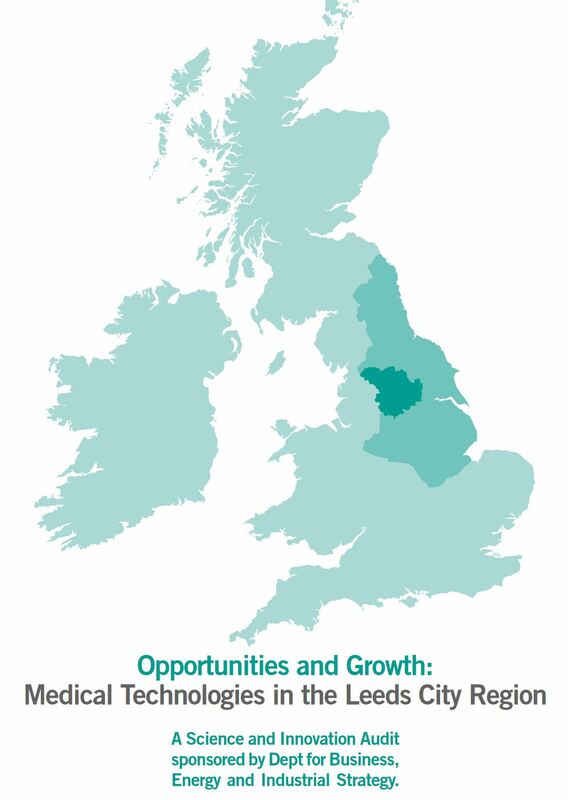 Leeds City Region has over 250 business specialising in medical technologies, 200 digital and techology businesses. Significant NHS assets, the home to NHS England and NHS Digital, longitudinal patient cohorts (such as Born in Bradford), the Leeds Care Record. 8% of all EPSRC MedTech funding comes to the region (over £100m) , with nearly 9% of patents filed from inventors in the region. Skills shortages and changing skills needs; particularly in medtech, digital, and regulatory. A need for regional investment to support infrastructure, innovation, and collaboration. Improved access is needed to the NHS as well as a simplified regulatory structure. Development of a national “test bed” clinical evaluation hub. Supporting a medtech skills academy. An integrated medtech innovation hub to support connect and continuous innovation. Sustainable infrastructure investment to support research and development. Strategic leadership through a Medtech Sector Council.